Auto Body/ Collision and Repair Technology offers a first-class ever changing curriculum that provides endless employment opportunities. 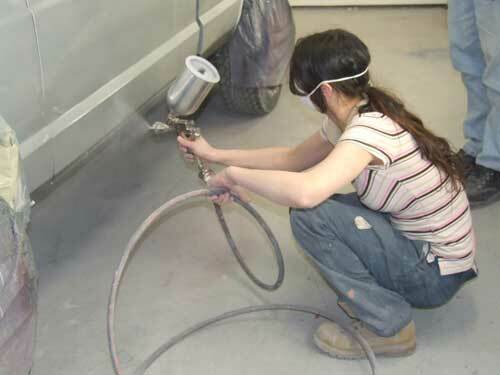 Many skilled persons are needed to repair and refinish automobiles when they are damaged. 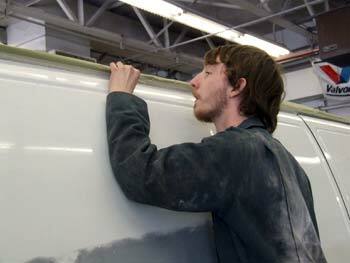 Auto Body Collision offers excellent job outlooks for individuals who enjoy working with their hands. The work involves body and fender repair, painting, straightening frames, aligning front ends, and repairing and replacing upholstery. Qualified seniors and juniors who are proficient in the areas of the curriculum of Auto Body/ Collision and Repair Technology are eligible to participate in cooperative work experience. Co-Op programs have been established with a large number of area employers. The employment outlook is exceptionally bright. In the United States we have a shortage of collision repair technicians and in the next five to 10 years with the age of the current work force there will be more opportunities. "This shop has helped prepare me for my future goal of building hot rods. I am also in co-op and that has given me exposure to the business world." 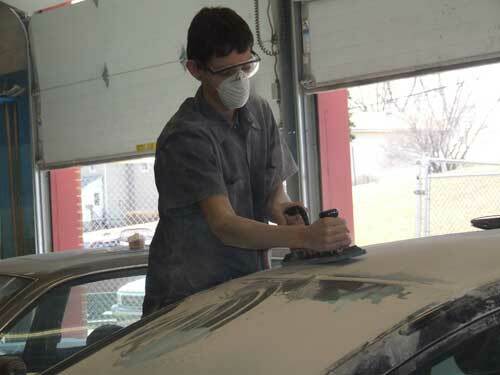 "After 4 years in auto body I learned a lot about repairing damaged vehicles. After my second year I got an excellent job at Motorworld collision. I have my career started and I really like making the money!"